The flight will be available every weekend from June 17 through August 20, 2017. Aeromexico has launched a new direct flight this summer between Monterrey and the “Lic. Gustavo Díaz Ordaz” International Airport in Puerto Vallarta, which also connects to the Riviera Nayarit. The airline has been testing the launch of this type of seasonal flight for a while, which not only brings the people of this northern city closer to the Pacific, but also offers an option for connecting with different regions of the United States. The flight will be available every weekend from June 17 through August 20, 2017 at the following times: MTY-PVR 1:30 p.m. to 3:10 p.m. and PVR-MTY 4 p.m. - 5:40 p.m.
“This is very good news for us because these are tourists who will come and stay for a week or even two, especially considering that Monterrey is the sixth city of origin in Mexico that sends the most amount of visitors to the Riviera Nayarit,” stated Marc Murphy, Managing Director of the Riviera Nayarit Convention and Visitors Bureau (CVB). 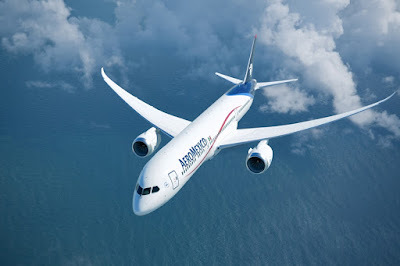 Aeromexico began this flight in order to support the Secretary of Tourism’s domestic campaign titled Viajemos Todos Por México (Let’s Travel Through Mexico), not to mention the excellent relationship it has with the Mexico Tourism Board (MTB) and the promotions offices of the Riviera Nayarit and Puerto Vallarta. A more permanent summer flight from the airline will depend on the success of this seasonal frequency.